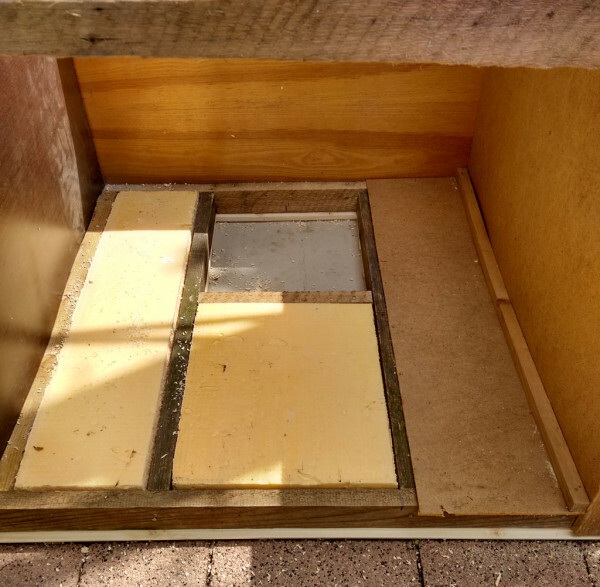 First of all, I have assembled the frame for the chicken coop base and attached the 3/4″ plywood floor. I made sure all corners were square before inserting the screws. 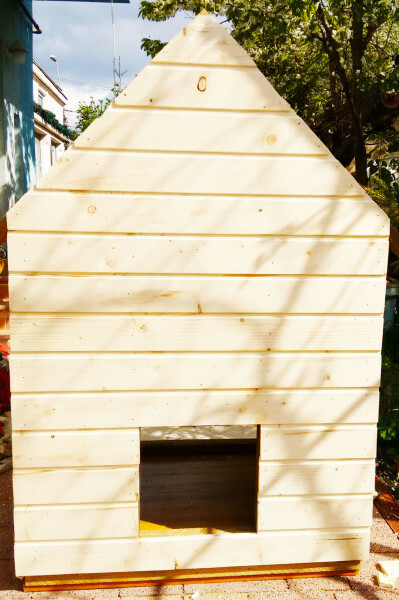 I have used reclaimed wood, so the coop will have a rustic look. 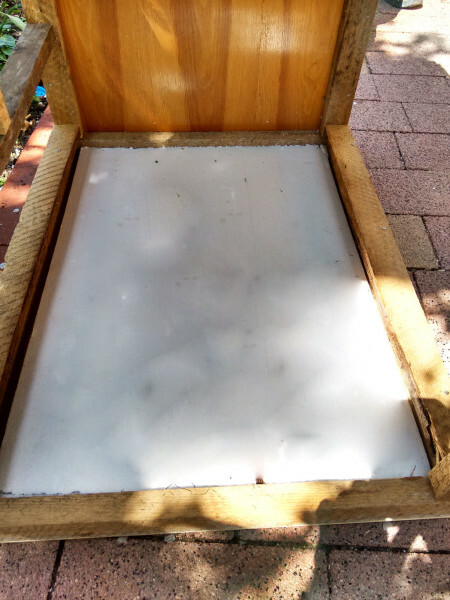 Then, I have cut several insulation sheets to the proper dimensions and fitted them inside the frame. This will keep the floor warn during the winter days. 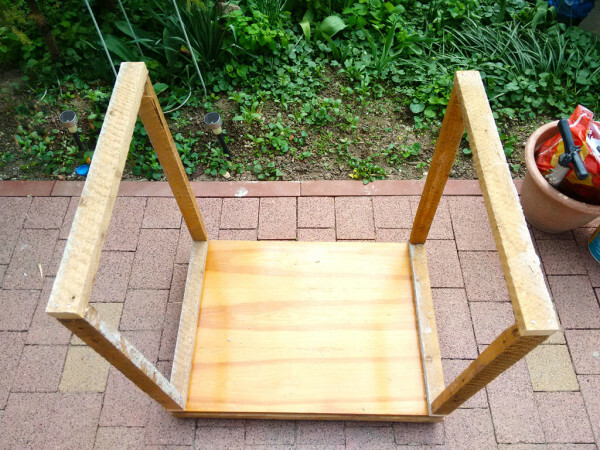 Attach the other plywood piece to the floor frame, in order to seal it. Insert screws to lock the sheet into place. 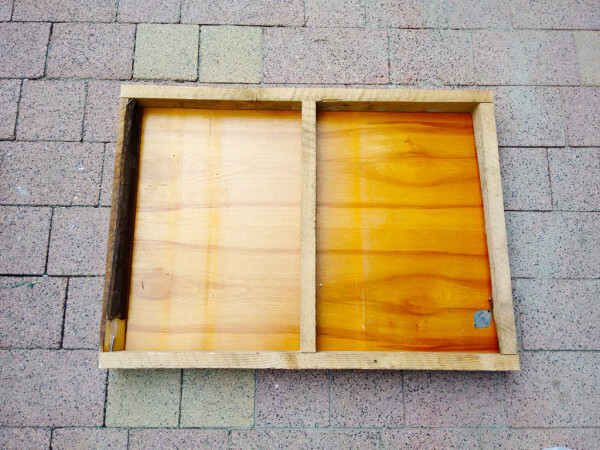 I used scrap wood to frame the side walls and secure them to the floor, as shown in the image. I used a spirit level to make sure the walls are perfectly plumb. Next, I framed the front and back walls. 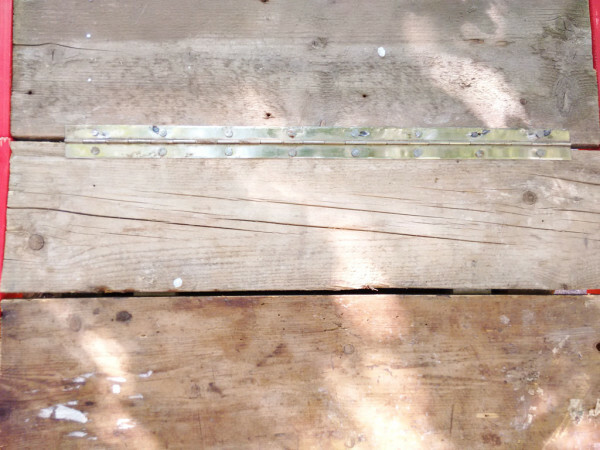 I placed them to the floor of the chicken coop and lock them into place using 2 1/2″ screws. I also drove a few nails into the adjacent walls to create a rigid structure. Next, I attached the exterior siding to the wall frames. 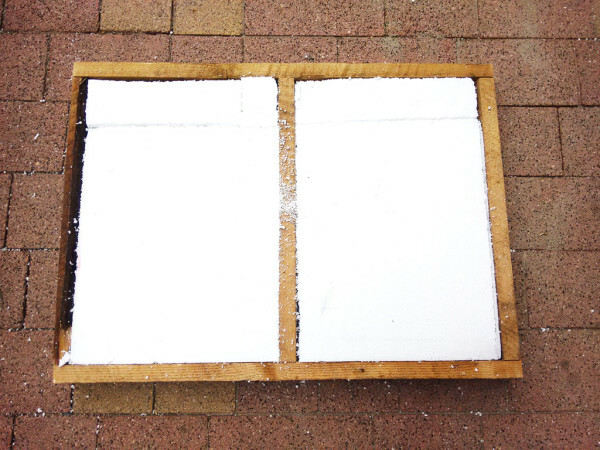 I also fitted 1 1/5″ thick insulation sheets to the walls frames. I attached siding to the rest of the walls, as it can be seen in the image. As you can notice in the image, i left an opening for the back door. 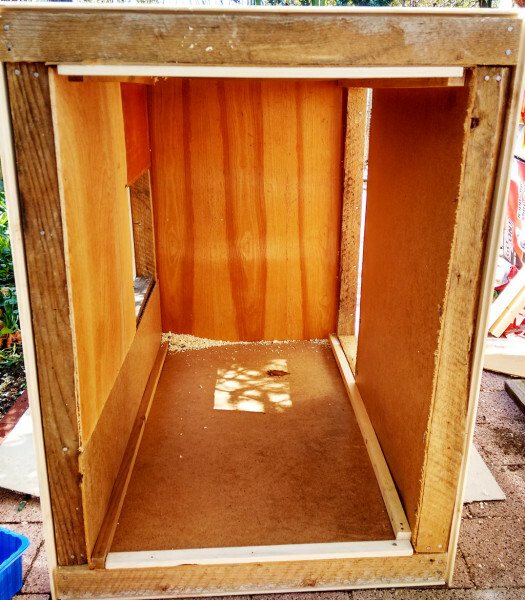 The back door will be used to take the eggs and to clean the chicken coop. I fitted insulation to the front wall, in order to protect the chicken coop from cold weather. 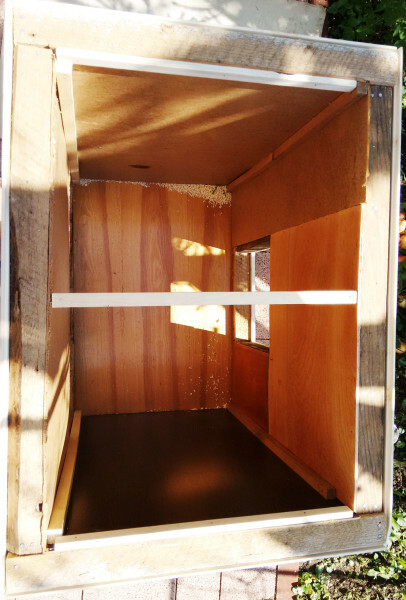 Next, I have installed the 1/4″ plywood interior wall to the frames. 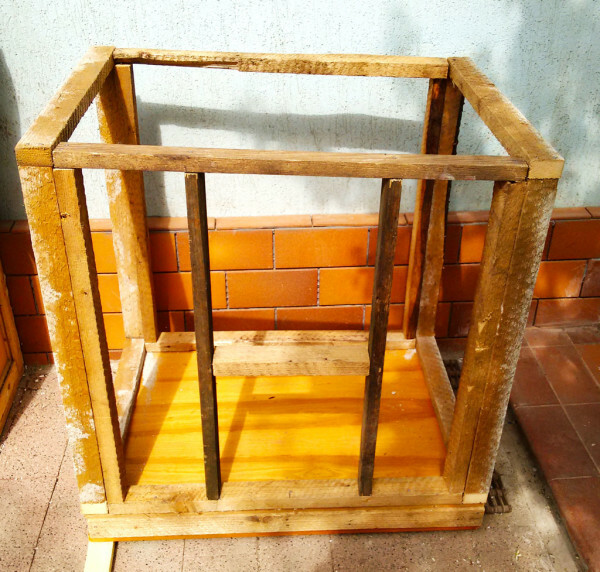 I also fitted 1×1 lumber to the corners, in order to enhance the rigidity of the structure. I installed a few supports to the top of the chicken coop. 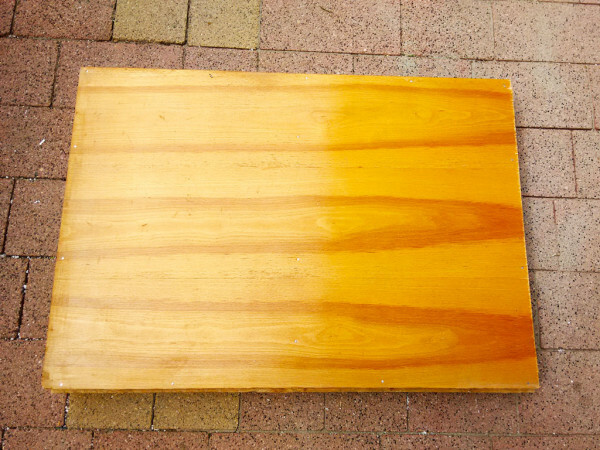 If you are going to store heavy items under the roof, I recommend you to use several 1×3 slats or to build the ceiling out of 3/4″ plywood. I attached the plywood ceiling to the structure and locked it into place using screws. 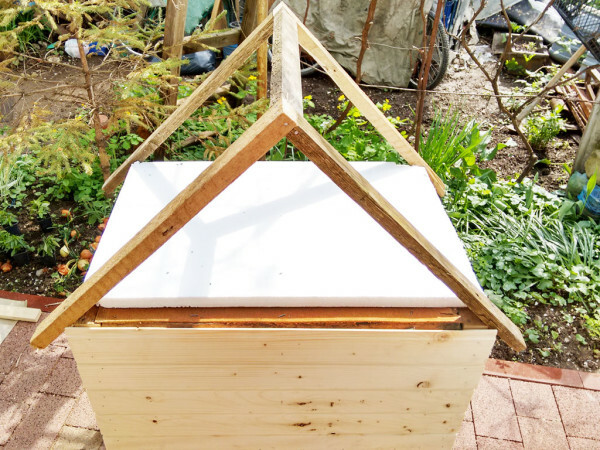 Next, I framed the roof and I secured the rafters into place by using 2 1/2″ screws. I continued the project by fitting the rest of the siding to the gable ends. I placed the chicken coop on top of several bricks to protect it from moisture. 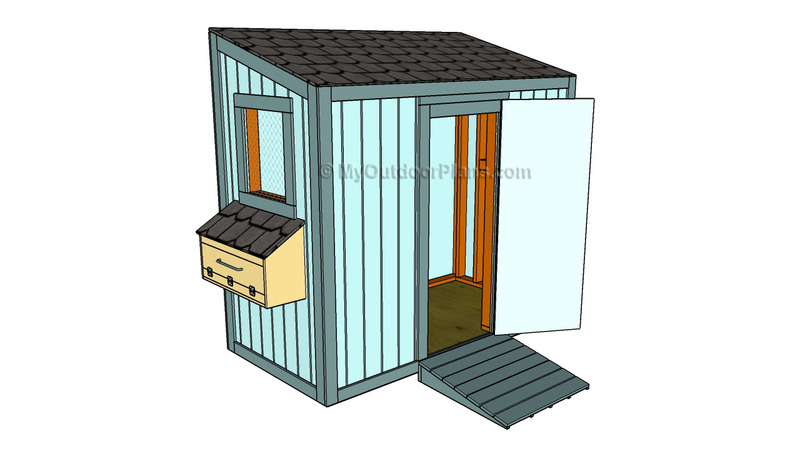 You could also follow the initial plans and build a base for the chicken coop. Adjust the height at which you place the coop according to your needs. I reused a piano hinge to create a storage compartment under the roof. 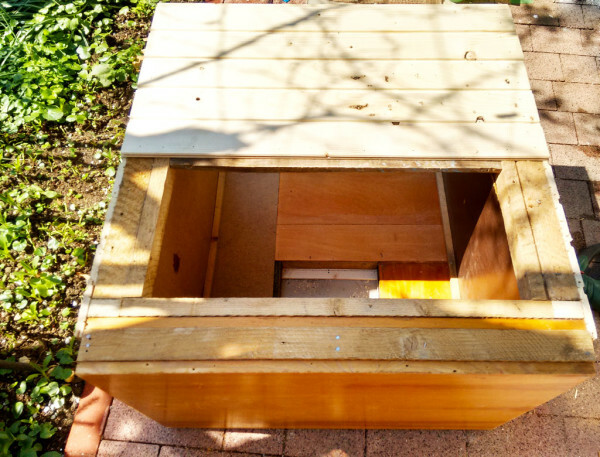 This storage area will be ideal for keeping the seeds for the chickens or other garden items. This is a project I have been planning for a long time, but I have never found the right plans for my needs. I used a lot of the scrap lumber I had in my backyard from previous projects, so it was a win-win situation. 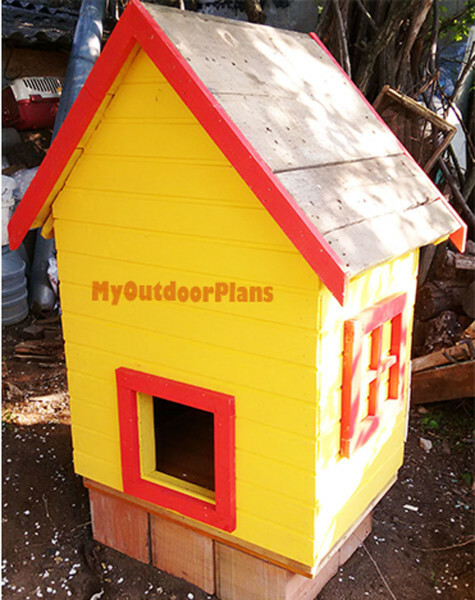 I followed the small chicken coop plans and everything went smoothly. It took me several days to assemble everything, as I measured twice and cut once, to prevent mistakes. 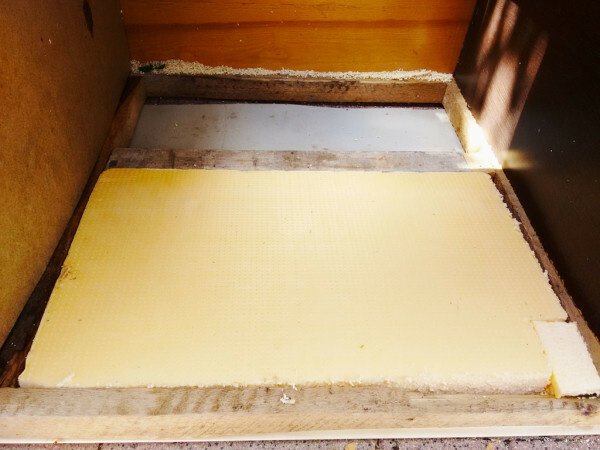 I insulated the walls, the floor and the ceiling of the chicken coop with polystyrene sheets. In addition I created a storage space under the roof of the chicken coop, by installing a large piano hinge. 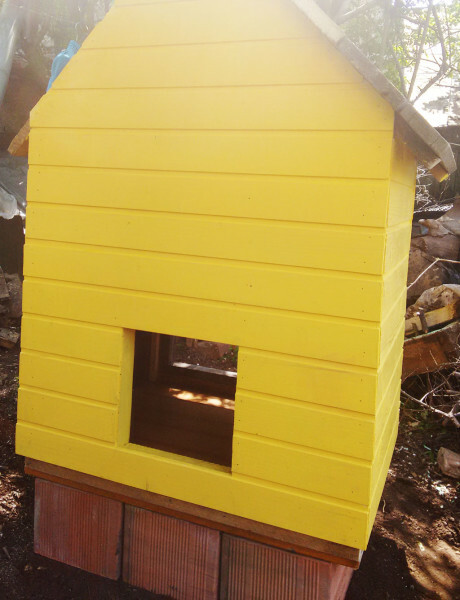 I still have a few things left to do to finish the small chicken coop. 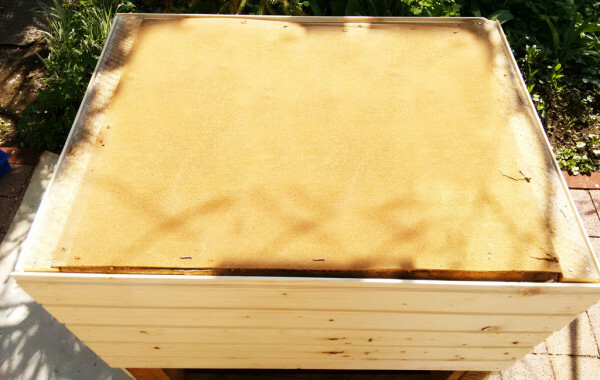 Therefore, I need to install asphalt shingles to the roof, to fit a front door and to build a run. Overall, I am pleased with the result and I am now confident in my building skills, so I will tackle even more projects in the future.